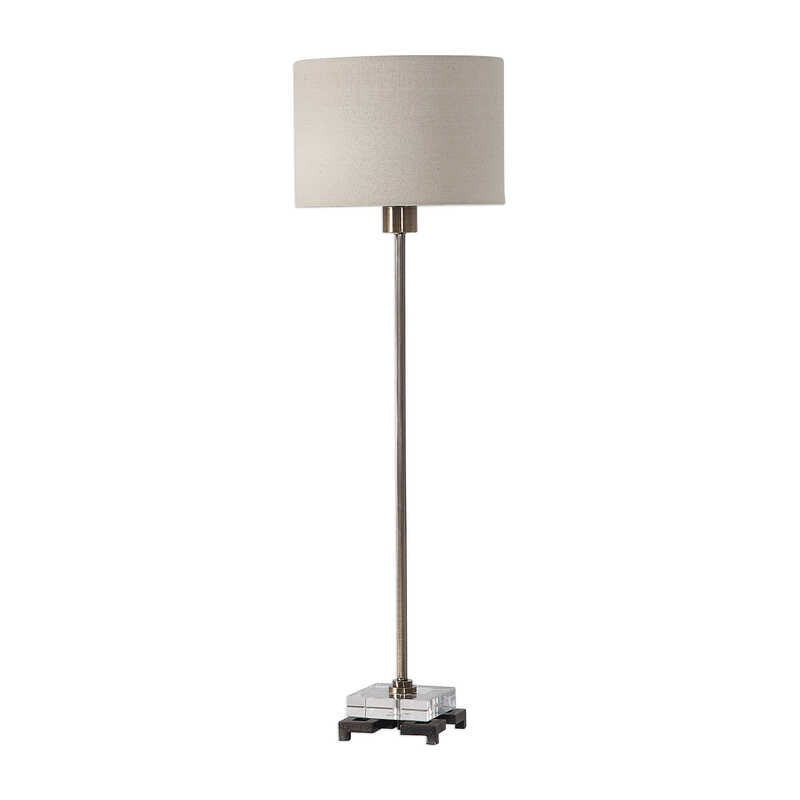 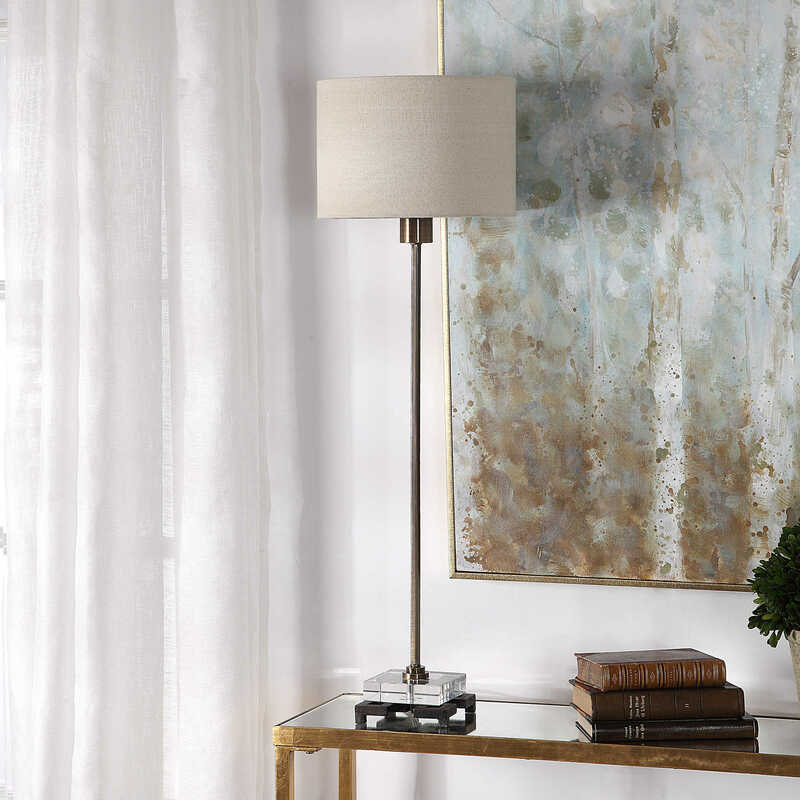 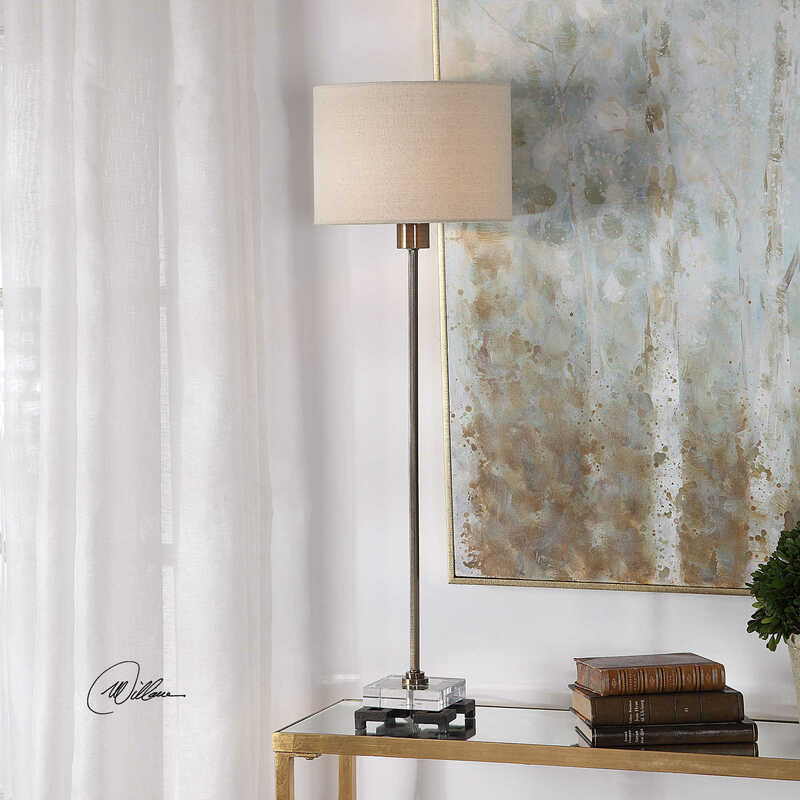 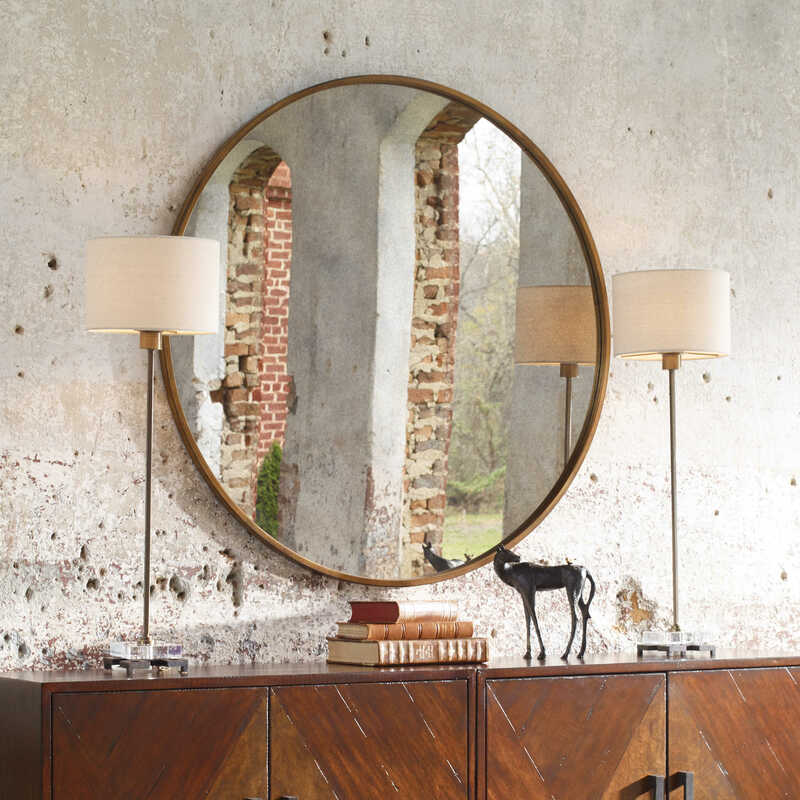 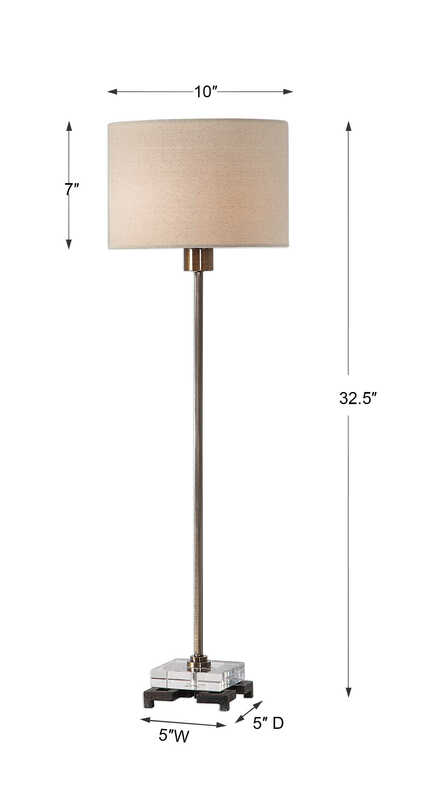 This simple, contemporary table lamp features clean lines and a versatile style. 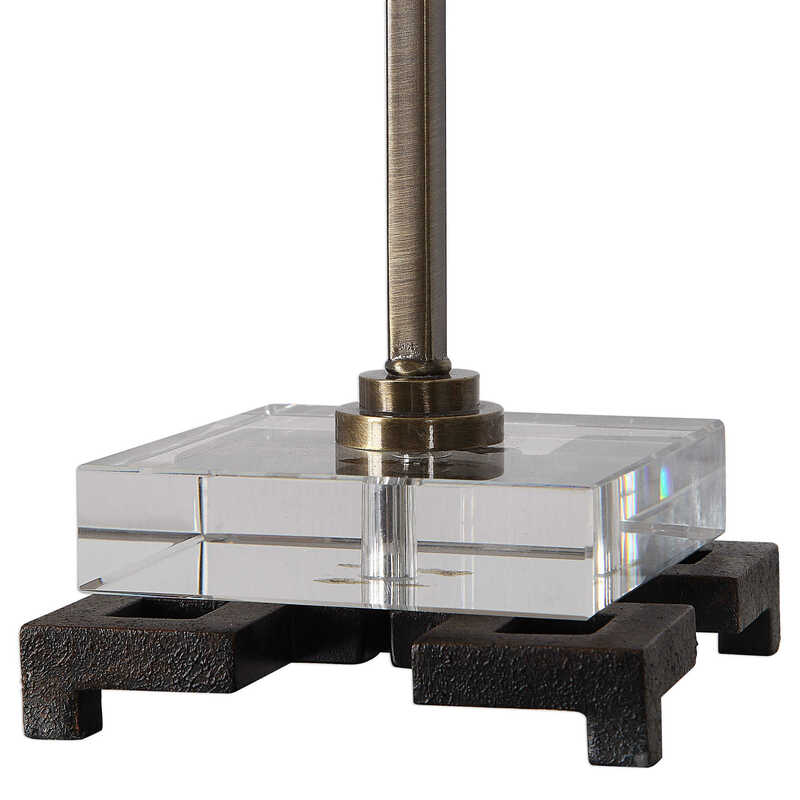 The iron base is finished in a plated antique brass, displayed on a thick crystal black and a cast iron foot. 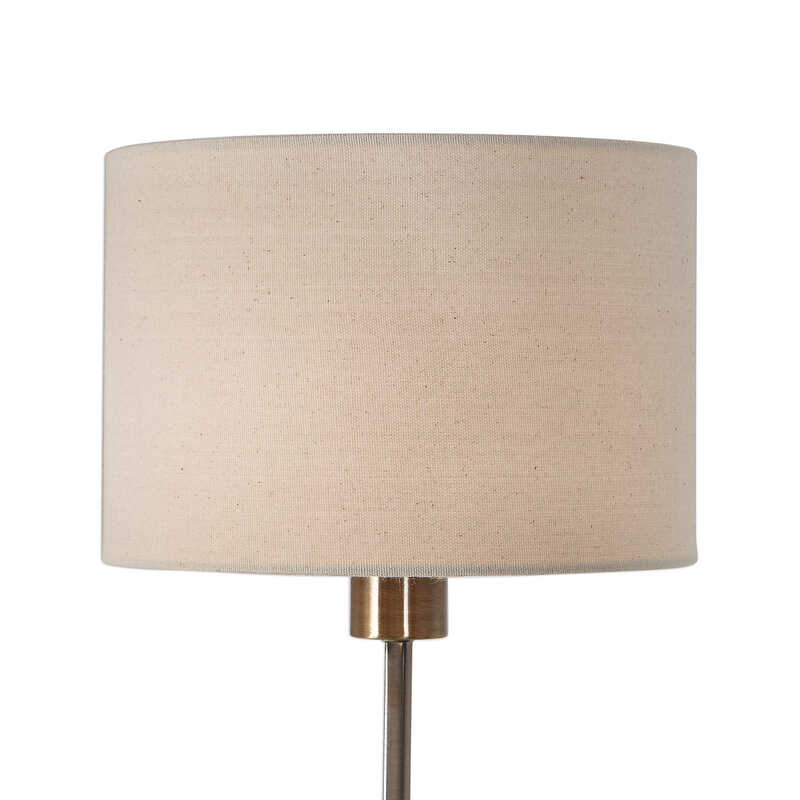 The round hardback drum shade is a beige linen fabric with light slubbing.